A delicious mid-morning or afternoon treat! 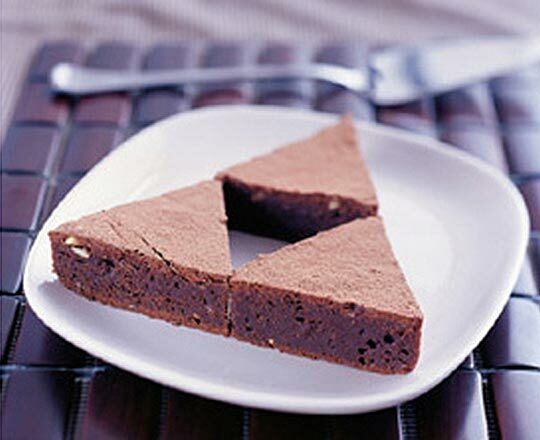 Try this twist on the classic brownie with Toblerone Dark Chocolate. Place the TOBLERONE* and butter into a saucepan and heat gently until chocolate is melted. Remove from heat. Stir in the sugar, flour, eggs and sour cream until well combined. Pour into a well lined 20 x 30cm lamington tin. Bake at 180ºC for 30 minutes or until cooked through. Cool on a wire rack, cut into pieces dust with cocoa and serve.